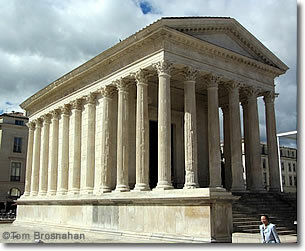 The Tourist Information Office in Nîmes is just around the corner from one of the highlights of the town: La Maison Carrée. The Office can provide information on combined tickets that provide a reduced rate for visiting the monuments of Nîmes, as well as information on the town's museums and the nearby Pont du Gard. And of course it also has maps so you can plan your route. 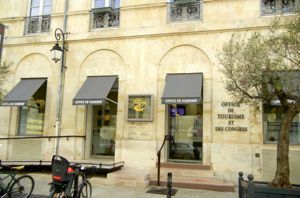 Tourist Information Office, Nîmes, France.